CLICK HERE to read our full coverage of San Diego Comic-Con 2016. 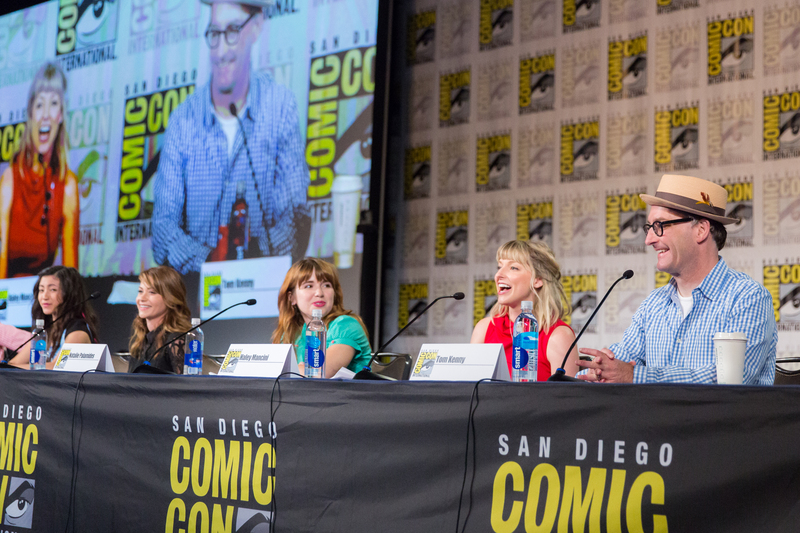 The Cartoon Network press room at Comic-Con this year was an adorable place full of really excited creators who love their work. Alongside the We Bare Bears crew, the cast and writers of the new Powerpuff Girls reboot sat down with reporters to discuss the show. We talked about everything from the challenges of reworking a classic franchise for a new era and dealing with die-hard fans to the importance of girl-power narratives for both young girls and young boys to the cast’s favourite episodes to record to the best strategies for leash-training a cat. *warning: this room was really loud so the audio quality on the videos below isn’t great.